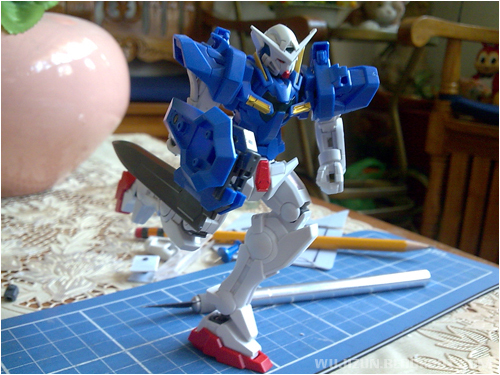 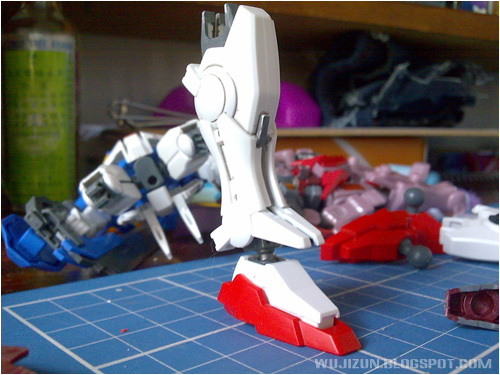 Adding a Ball Joint / Replacing the PC Part on FG Exia's Foot. 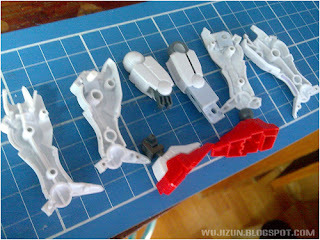 HG Exia Foot, HG Foot Connector and your FG Knee Armor. 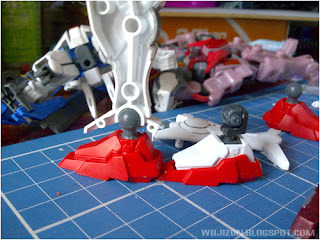 Cut it like this and you can perfectly insert your HG Part Joint there just like the picture. 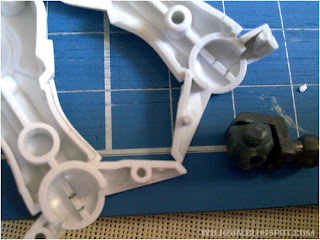 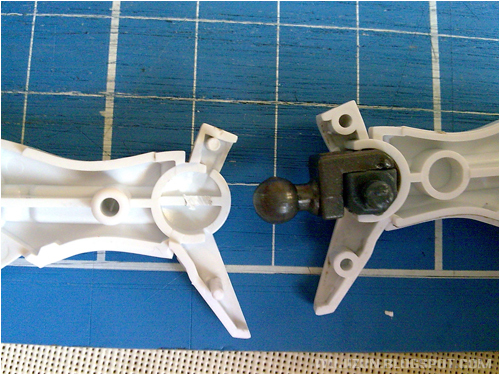 The Ball Joint inside the foot is very tight because of TTH Plastic. You can also make him stand by 1 foot only. 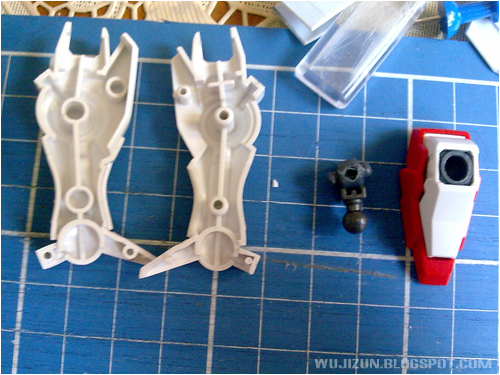 Check the difference between the original knee armor and the modified one.